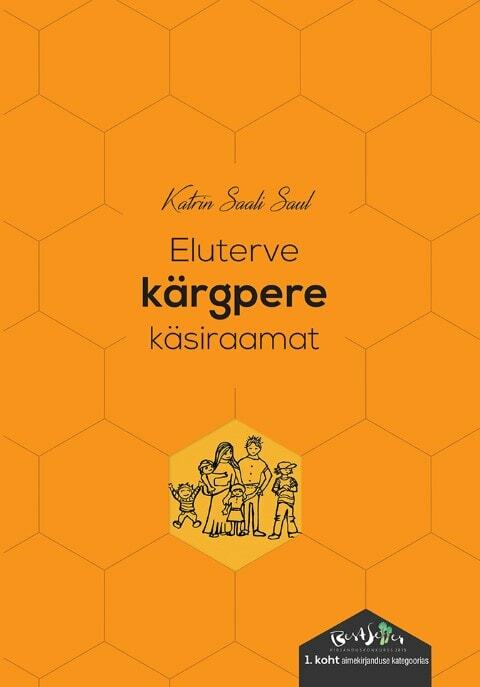 Recommended by Estonian Family Therapy Association. Winner of BESTSELLER Literature Contest 2015 in nonfiction category. During the nearly twenty years of psychotherapist practice, I have heard hundreds of men and women talking about their childhood and seen the immense impact their parents’ relationship and their own relationship with parents has on their wellbeing. Are we confident and know our value, what we expect and need from other people, what we allow other people to do to us, what traits we look for in a partner, how we raise our own children - all these behaviours derive material from our childhood. I have heard stories of people whose parents’ relationship broke up or whose own relationship did not withstand the test of life despite mutual children. And the stories of the "second round" relationships. Nowadays the second or even third round relationships are relatively common. The society does not mandate anymore staying in relationships where one’s heart does not sing – even for the sake of children. It is inappropriate for bystanders to judge decisions of people for going after their happiness but knowing the importance of parents in shaping lives of their children, the break-ups must consider the rights and needs of children to be in a healthy and strong relationship with both parents. Unfortunately there are too many cases where breaking a relationship with another adult, one breaks also a relation with the children born from this relationship. So, in addition to ex-partner “ex-children” enter the stage. The handbook describes challenges and concerns of stepfamily participants (partner in new relationship with children from the previous one, new partner, ex-partner, children, grandparents), warnings and suggestions that help keeping the heads cool and hearts warm – prerequisites getting the stepfamily to work. There is also guidance for increasing likelihood of self-development that leads to more harmonious relationships in this new and delicate situation for everybody involved. The book is blended with stories inspired by real life cases. The ones who find it difficult to go through the entire book can jump directly to the last chapter consisting of concrete instructions. The book is based on nearly 20 years as a family psychotherapist, on recent international studies and theory, and on my personal experience in a blended family.